Video Extenders custom install situations such as a boardroom, classroom or an auditorium, displays often need to be located away from the video source. This distance creates a number of challenges, from signal degradation (wired or wireless) to standard cable management issues (including cable length, walls and ceilings, and conduit fit). 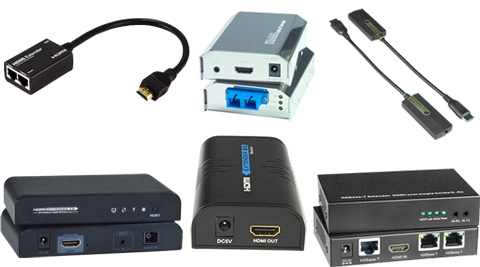 Video Extenders use category cables to allow you to extend the distance between source device and displays in your video installations by up to 150m, making them ideal for applications where remote video displays are required. Video extenders allow you to place computers or source devices in a secure location, or where they are protected from harsh environmental conditions, or simply when the display device needs to be at a distance from the source.